Stop your vehicle: if you’re blocking traffic, or the location isn’t safe, move your vehicle to a safe place nearby. The law requires you to stop; failure to do so could result in a ticket or a warrant your arrest. Never admit fault: The fault of an accident is not always clear and admitting fault when questionable or in correct may have negative consequences. Exchange contact information: Exchange names, addresses, and phone numbers with all parties involves as well as any witnesses present. Get additional Information: Get the license plate numbers, insurance company names and policy numbers for all vehicles involved in the accident. Call the police: and let them decide if they should come to the scene. 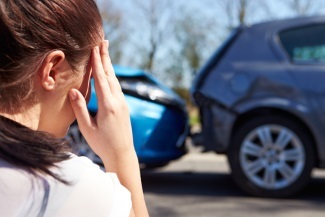 It’s especially important to contact the police if the accident involves injuries, a hit-and-run or a dispute about liability. Cooperate with the police: by giving them accident details and answering their questions. Be sure to get their names and phone numbers, as well as the number of the police report. Take Pictures: If you have a camera with you or on your cell phone, take pictures of that accident location, damage to all the vehicles or property involved and other relevant details of the accident. Call a Tow Company: if the vehicle isn’t fit to drive. Get the name, address and phone number of the company.